I've been a long time fan of Earthenwood Studios. I actually have quite a collection of Melanie's ceramic beads. 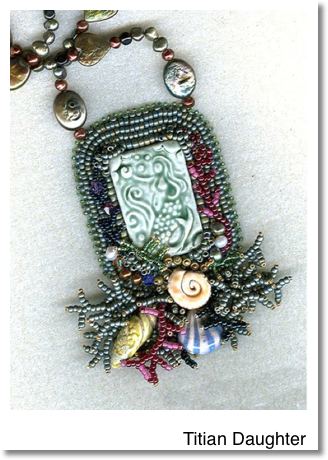 They have been the inspiration for many of my Bead Cruise designs over the past 6 years. 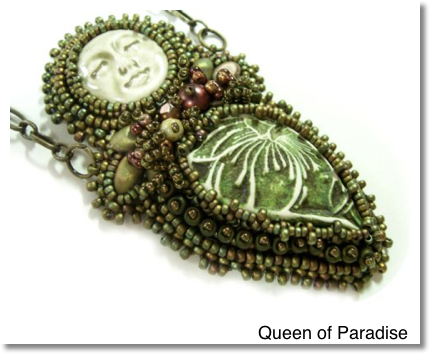 The Queen of Paradise will be making her debut on Bead Cruise 2012 in 1 month, 3 days and 16 hours! There are a lot of preparations in progress getting ready for this event. Thanks to Melanie's great Art beads and service I am one step closer to getting things done. You can shop with Earthenwood Studio here or in Melanie's Etsy shop here. 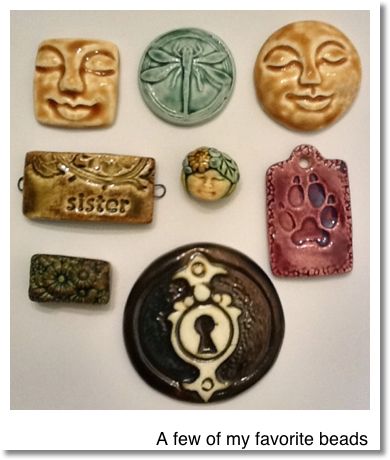 Get out there and be inspired by these wonderful ceramic art beads! I love Melanie and her beads. 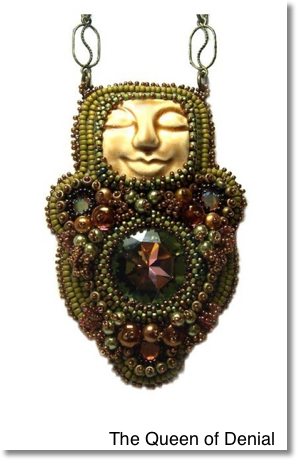 Your designs are perfect with her beads. I loved everyone you came up with! You have a lovely collection and your new piece for the cruise looks gorgeous! Thanks for the kind words Rosanne and Renate. Glad you stopped by for a visit! 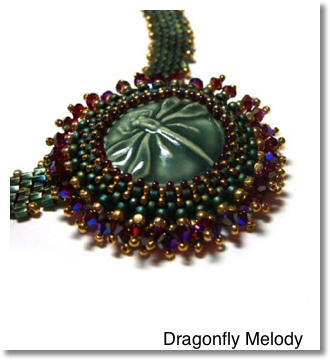 Melanie's beads are wonderful, and your work really does them justice! I think you have given a lovely finish and look to the beads...they look so gorgeous now!! !